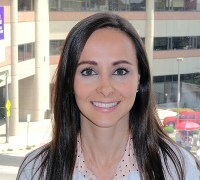 Meet the members of the Pulmonary/Critical Care and Sleep Medicine Fellowship programs of the University of Louisville Division of Pulmonary, Critical Care & Sleep Disorders Medicine. For more information about our programs, call 502-852-2840. 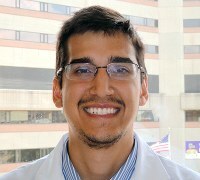 About Juan: I like to treat my patients as best as I can, Be sharp in my clinical knowledge and give my best on every rotation. 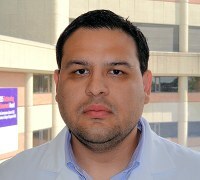 Research interests: Bronchoscopy outcomes and complications, Mechanical Ventilation and Sepsis. About Jill: I grew up in the Upper Peninsula of Michigan, love Michigan State football - my husband loves the University of Michigan. I have two dogs and a cat I love spending time with. Hobbies: Sleeping! I love family time and travel, Audiobooks on road trips, and Netflix binges with my dogs. 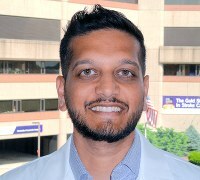 About Bilal: I grew up in the United Arab Emirates, completed high school and medical school in Pakistan, got a taste of the southwest during residency (Albuquerque, NM) and now in the north-most part of the south for fellowship: basically a nomad. I’m a coffee aficionado (luckily we have Heine Brothers in Louisville to fulfill my coffee needs) and have listened to virtually every CCR song that’s out there. Favorite restaurant in Louisville: La Rosita on Westport Road (legit Mexican food). 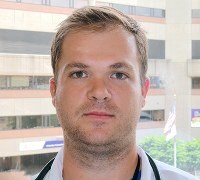 About David: Originally from Ohio, I have lived in Louisville for a couple years now. It has been a wonderful experience. Everyone is very friendly and the food is excellent. I thoroughly enjoy the horse races and I will be going to my first Kentucky Derby this year. Although I am a Michigan fan, I appreciate the enthusiasm for college sports in the town. About Richard: I am easy going, and like to spend time outdoors playing sports and enjoying the weather. Enjoy spending time with friends and family. 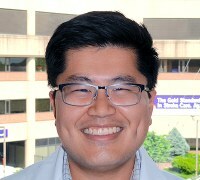 About John: I enjoy expanding my knowledge of pulmonary and critical care medicine while helping my patients improve their quality of life through research based practices. In my off time, I spend time with my family visiting the many entertaining locations Louisville has to offer, including the zoo, waterfront park, the walking bridge, and the science center. 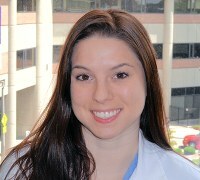 About Chris: I enjoy working with residents to help patients in their time of need with evidence based practice. In my free time, I can be found cooking, in the gym or exploring different parts of Louisville. 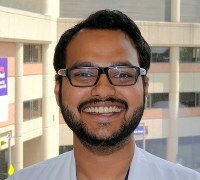 Arjun R. Ghodasara , M.D. 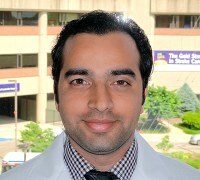 About Arjun: I was born in India and grew up in Atlanta, GA. I am very laid back and easy to work with. I am a huge Atlanta Falcons/Hawks/Braves fan. About Hassan: I was born in Swat, a valley in Northern Pakistan known for its beauty and tourism. After 13 years of schooling at Burn Hall College, it was an honor to go to Aga Khan University for Medical School that was followed by the dream to train in the U.S. 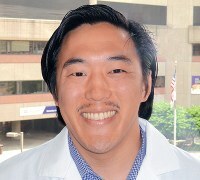 I finished residency in Pennsylvania and moved to Louisville for fellowship. It is a great city with lots to offer. I have been enjoying my life here with friendly people, better weather and amazing food in a well-balanced city. 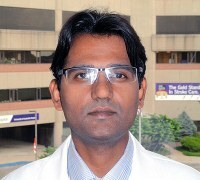 Sanath Kasi Reddy , M.D.